I am sure by now that you have definitely heard of the amazing soda maker, SodaStream. It has been a hit in households, blogs, and families across the country and now I know why! We are loving the new SodaStream Source soda maker that we received for review! It is so versatile and fun to use! Recently, SodaStream announced it had partnered with Yves Behar to re-examine every element of the SodaStream soda maker, including the user interface, the design and material selection, the bottle, and the overall consumer experience. 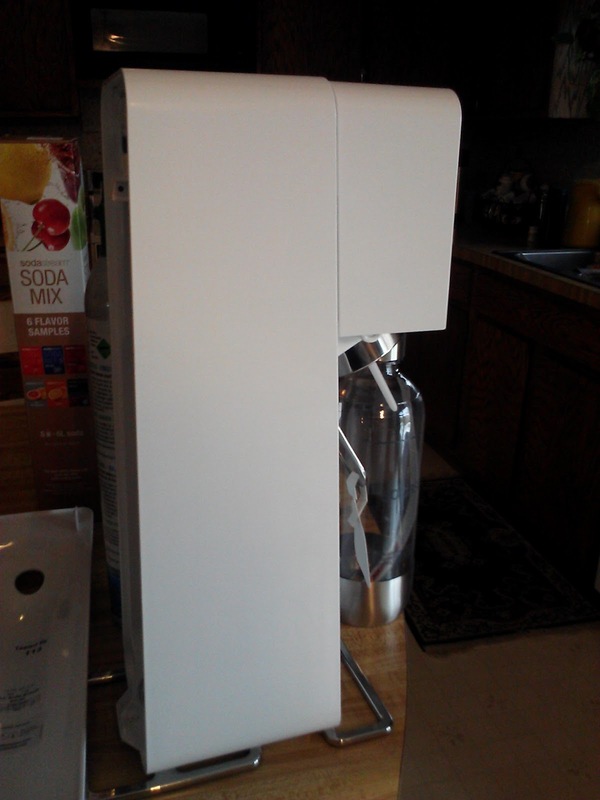 The result is the new “Source,” an elegantly-designed soda maker that combines beauty, functionality and efficiency. The sleek carbonating bottle locks into place using the new, patent-pending “snap-n-lock” mechanism for easy bottle insertion and removal. 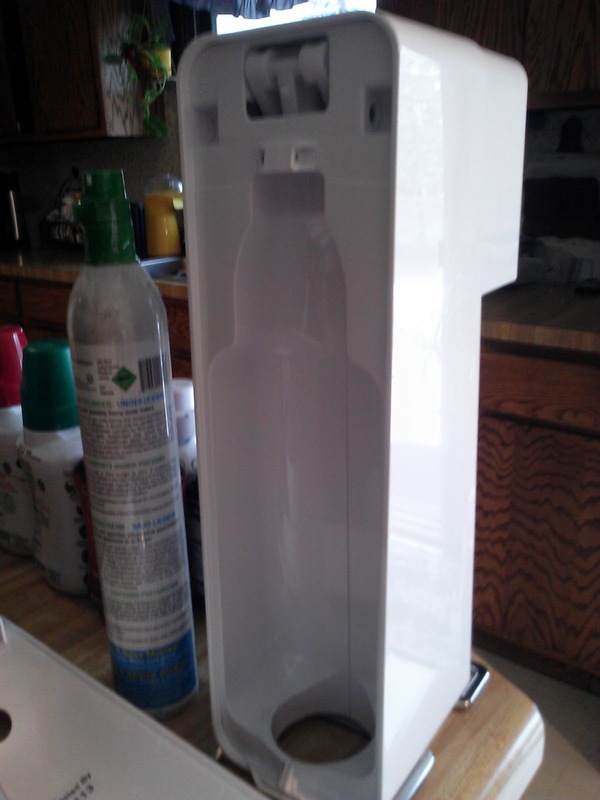 The elegantly redesigned carbonating bottle easily locks into place with a single-push motion. Powered by a CO2 canister, the refined mechanics of SodaStream Source make the entire top surface responsive to touch, and the strength of carbonation is visible through an LED display, providing instant, visual feedback. 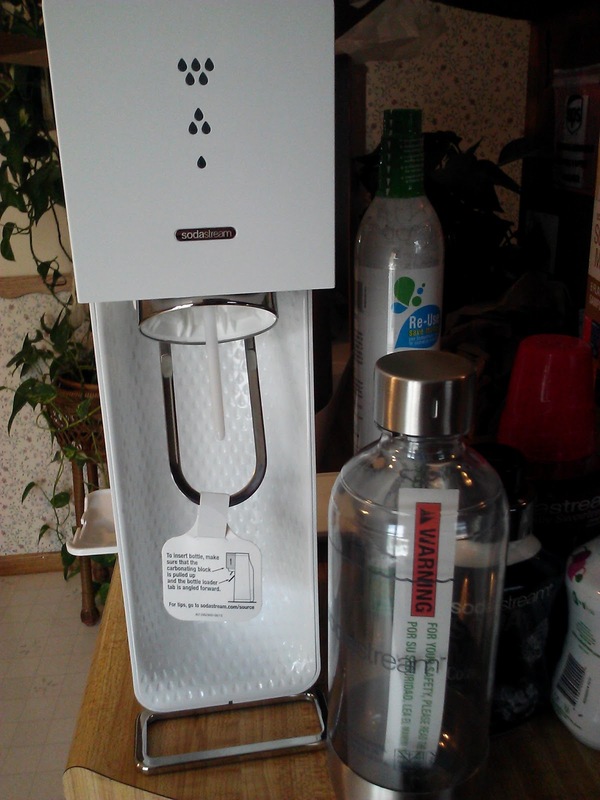 SodaStream is an "Active Green" product, meaning that consumers are actively reducing their CO2 footprint every time they make soda or sparkling water at home instead of buying it from the store. The more the system is used on a daily basis, the more CO2 footprint the user actively saves. And because SodaStream uses water straight from the tap, the system makes traditional store-bought beverage bottles obsolete. Making homemade soda and carbonated water is so simple - turn tap water into sparkling water in 3 seconds! Enjoy the convenience of homemade soda and protect the environment - no heavy bottles to carry, store at home or throw away. Sparkle to your taste with our delicious soda syrups. Add the flavor of your choice and make your favorite drink. Simple to clean and reuse. With the latest designs it will also look great in your kitchen. This new Source is so sleek and stylish: it fits perfectly into any kitchen and/or bar and will definitely save you money! Never again buy soda in the store...make it right in your home and make it with ease! 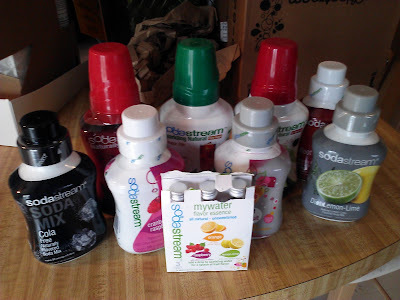 The Source is so easy to use and they have so many great flavors to choose from! So… do you still do bottles? Win It: SodaStream is generously offering (1) SodaStream Source to a lucky winner! I'm horrible with drinking soda, not matter how hard I try I cant fully quit! Unfortunately I use bottles AND cans :( I've been dying to get a soda stream to be a little more eco-friendly!